I was heavily influenced by Ruth Stout in my early years as a gardener back in the 70s. 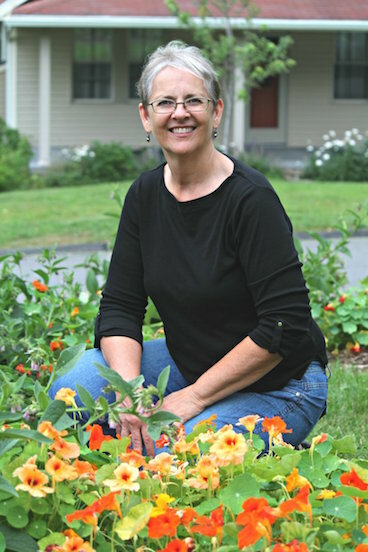 She advocated a style of gardening that was no-dig and heavy on mulch so that weeding was eliminated. As the mulch decays, it builds soil, and more mulch is added. In those early years, I continued to hand dig my garden, but I did take Ruth’s advice and mulched heavily. Our gardens were productive. But for the past 8 years we’ve taken our garden from good to great with a style of gardening that improves on Ruth Stout’s work. That style has been labeled lasagna gardening. 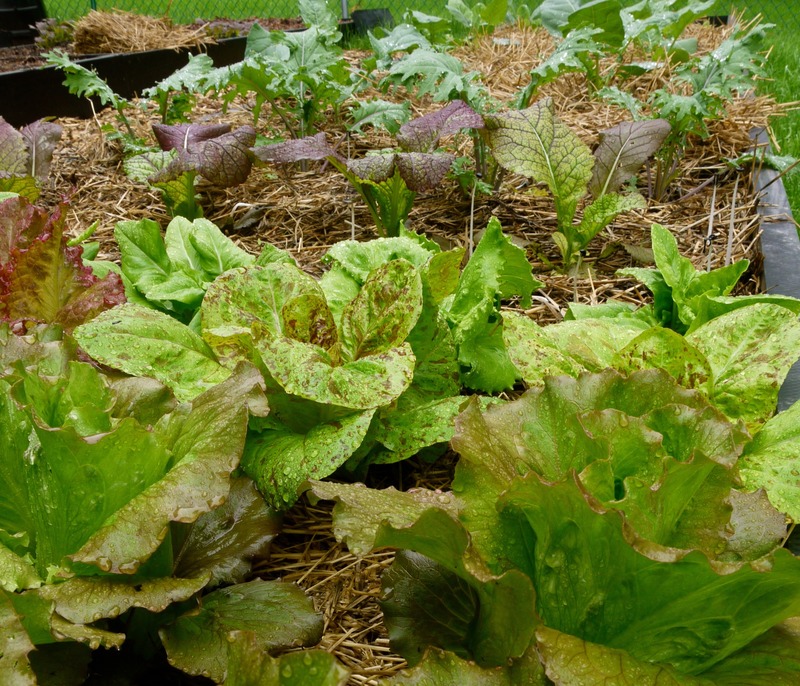 Also known as sheet composting, a lasagna garden is built by layering organic materials which eventually will decompose into wonderful garden soil. While it is preferable to build the garden several months in advance – fall is the perfect time – it really is not necessary to wait until that decomposition is complete to begin planting in your new garden. As a matter of fact, you always want SOME decomposition to be going on, since that attracts beneficial soil life. The only drawback I’ve found to starting a lasagna garden in the spring is that it requires more watering since it is still so porous and the water runs through it more quickly than in material that is already decomposed. What Comes to Mind When You Think of Gardening? Soil is the foundation of your garden, and your vegetables and your garden will only be as healthy as your soil. My passion is building soil, and although I’m mainly a vegetable gardener, the same principles hold true for flower gardening. A garden with poor soil may produce fruit, but that fruit can’t possibly contain the nutrients, or taste as good, as fruit grown in soil that has provided all that is needed for its health. And plants grown in healthy soil have less problems with disease and pests. My eBook, The Art of Gardening: Building Your Soil teaches a way to garden that combines lasagna gardening with wood chip gardening for a super productive, healthy garden. Most people would consider digging and weeding to be the two most difficult aspects of gardening. Do you agree? Well, if you implement sheet composting, you will never again have to dig a garden. And you will drastically reduce the amount of weeding that will need to be done. It’s true that lasagna gardening takes work, but it’s work that is, to me, much easier than tilling a garden. And once your garden is prepared, yearly maintenance is simple. A lasagna garden is built right on the top of the ground. There is no need to dig first. You can build lasagna garden layers right on top of grass, and the grass itself will decompose and add nutrients to your garden. Once you’ve decided where you want to build your garden (it can be on top of an existing garden), the first thing you will do is lay down a layer of cardboard or about a 1/4” layer of newspaper on the ground to choke out the grass and weeds. Make sure you don’t use any glossy newspaper or cardboard. Next, wet the newspaper, because this will help it to begin to decompose and keep it in place while you are building. Now, start layering whatever organic matter you can get your hands on. You may use whatever materials you have available as long as you use both “greens” and “browns”. “Greens” include materials like grass clippings and manure and provide nitrogen. “Browns” include hay and leaves and provide carbon. Once you’ve collected your materials, you can begin to layer. The order isn’t particularly important, although bulkier items will decompose more quickly if they are on the bottom. Keep layering until your lasagna garden is about 18” high. This will dramatically decrease as everything decomposes. I don’t know about you, but when I’m making dinner I rarely follow a recipe. Building a garden is similar. Exact proportions are just not necessary. The only other thing I do is to add a thin layer of bone meal and blood meal every few layers. The bone meal adds phosphorous, and the blood meal add nitrogen and helps the garden to decompose more quickly. I use a lot of hay in my lasagna garden, which is high in potassium, so I’ve got the NPK covered (nitrogen, phosphorous, potassium). The very top layer of your garden should be finished compost. This can be compost you have made yourself or purchased. The compost is where you will plant your seeds or seedlings. Once your plants are several inches high, it is important to add mulch to preserve soil moisture and keep weeds from sprouting. 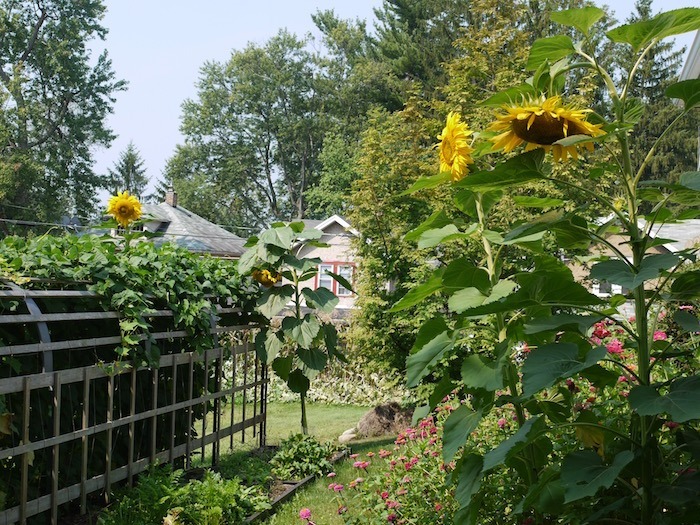 Yearly maintenance for lasagna gardening involves adding a new layer of material to the top of your garden each fall. 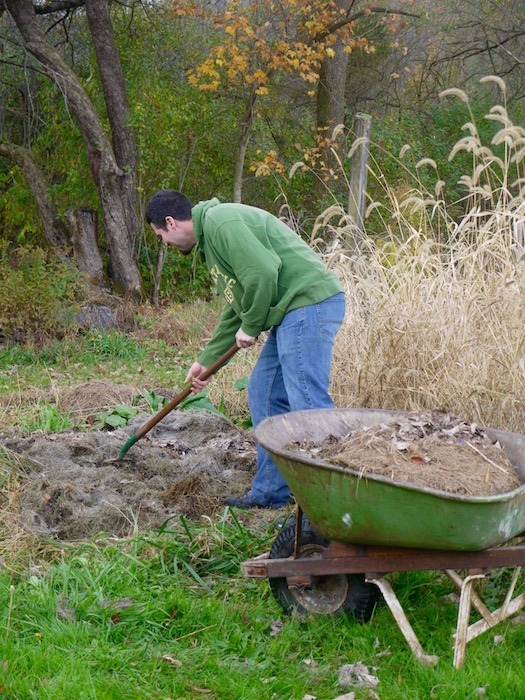 Remove the dead plants from your garden and add 1″ of rotted manure or compost. Then add a layer of chopped leaves or weed-free hay or straw. Your garden is now protected from winter storms. Come spring, if you have not been walking on your garden, your bed will be free of weeds and ready to plant without any digging. 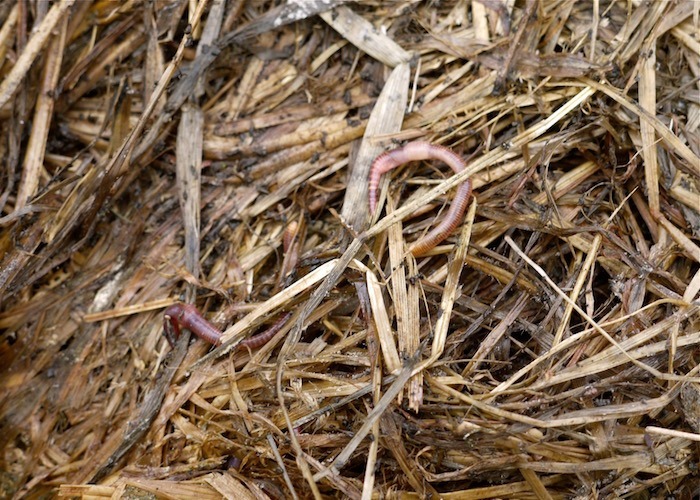 Plastic Mulch in the Garden: Friend or Foe? How to Read a Seed Packet? 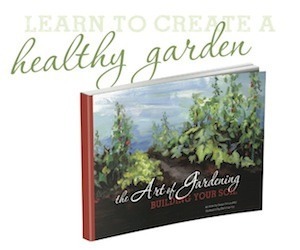 To learn how to build a garden that builds healthy soil, be sure to check out my eBook The Art of Gardening: Building Your Soil. 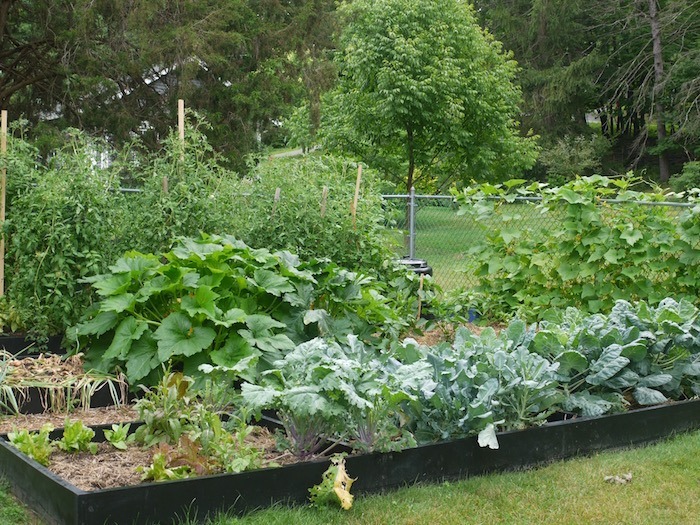 You really can become a better gardener, and you really can grow healthy, nourishing produce. It’s all about the soil! Click here to learn more. Lasagne gardening and thick mulch are my favorite ways to garden! So productive. Hello dear. My wife and I live in a small rented house with very limited space. I can only use, at most, containers to grow vegetables. Flowers aren’t needed because of a proliferation of wisteria and honey suckle. I am very familiar with organic and French gardening techniques with planting in mass, but that was 35+ years ago. My problem is that after I get everything set up and growing, I’m usually so exhausted after getting home from work that I forget to water the potted plants. I’ m going to try a drip or timed watering system this time. Would you have any suggestions for me. I’ m 65 and in good health but my wife has no interest in gardening. I dislike growing in pots for the same reason. They are just not as easy to take care of as plants in the ground. There are some nice self-watering systems out there such as the Earth Box. If you google it, you can even find instructions to make your own. Drip irrigation is another good idea. I love the stuff that is in baby diapers they make a version that you can put in potted plants. It holds water and let’s it out slowly in your pot and then swells back up when you water. Note the diaper stuff doesn’t biodegrade I use it over and over. Hi, what an awesome blog you have here! I am doing my first sheet mulch now (sping time, I know it’s not the best, but what can we do). If I use horse manure can I start adding seedling after just one month? I am planning to mix it with hay to avoid the nitrogen ‘burnout’ problem. If the horse manure was fresh when you put it on your garden, I’d be very hesitant to plant in it even if you use hay. Are you familiar with the work of Emilia Hazelip known as Synergistic Agriculture? Her advice is to leave the parts of the plants we don’t use in or on the soil (use the roots, leave the tops, and vice versa). This adds back what the plants have synthesized from the atmosphere, water and sunlight. Thank you for your well-done blog promoting mulching! Best wishes for the 2017 gardening season. I haven’t heard of her, Galen but I do practice some of what you are saying. In the fall, when I’m cleaning up my garden, I cut the plant at ground level so that the roots can decompose in the soil. The rest of the plant is composted. We don’t get a lot of weeds, but those I do have get pulled out and laid on top of the soil as mulch as long as they are not gone to seed. I look at the plants as the minerals in the soil. 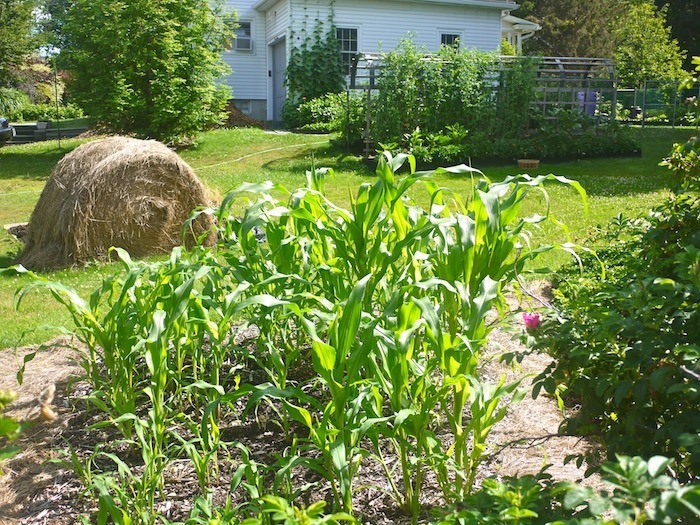 I am looking for advise and last Fall I put 6 bales of straw on my garden along with 1 1/2 pick-ups of Black wood much and on top of that I put another 6 bales of straw on top of that my garden is 17’ X 19’. You may ask why I did not use any hay on the last layer because I could not find any. With this said what would you do this Spring to put some green in it? Yes I will be planting my garden in this in the Spring at the end of May 2018. I would add some high nitrogen to get what you put down decomposing – I like to use blood meal. I also recommend a layer of compost on top so that you have somewhere to plant your seeds and seedlings. I’m a little concerned about that layer of wood chips in the middle – it may rob your garden of nitrogen as it decomposes. Hi, Susan, thanks, so much for your most valuable & “blest” knowledge . . . and, sorry to post right here, if it’s the wrong place, but I’m still learning this “blog world” . . . my concern has always been around using newspapers as part of the layering for healthy organic soil… maybe it’s just me, but I feel somewhat unsure about the inks used in newspaper (I understand not to use the glossy pages) . . . I can’t help but think that, somehow, possibly even, indirectly (?) the ink would enter into our soil and counteract all our hard work to get good, healthy soil? Wow. Excellent article about The Best Way to Garden. This article provides right info that’s why I think every gardener should read this article. Great article, Susan! I finally live in an area where we can get those huge, round bales easily. When we lived in the city we used wheat straw bales because they were readily available. When we lived in NC, pine straw was what was available – of the gorgeous blueberries! The benefit of the wheat bales is that some leftover wheat sprouts and you can pull it out easily for green mulch once it does. The round bales can be difficult to deal with, though, if you don’t have machinery! I love that you’ve been able to use all kinds of materials with success. That’s one of the great things about lasagna gardening! Really Amazing Info. Thank you Susan Vinskofski, for Provide this great article, Always I am inspired to read your awesome article. Now I am clear about on Lasagna Gardening. Again Thank you, man 🙂 .